Gobble Gobble Gobble! It’s always fun to dress up as a turkey for big laughs from friends and family. Thanksgiving will be here before you know it so why not liven up your next Thanksgiving dinner party wearing a hilarious turkey costume! These outfits are available for both kids and grown ups and they can be worn for other occasions as well. 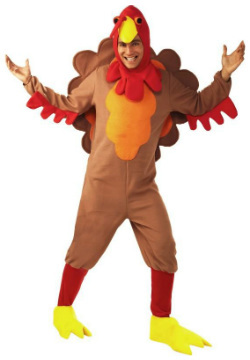 If you want to dress up as a humorous Turkey for this holiday season, why not try on one of these funny Turkey mascot costumes available for adult men and women! If you need the ultimate Turkey mascot for your business, school, sports team, or promotional event, this super deluxe Turkey mascot costume will rally all the support you need! 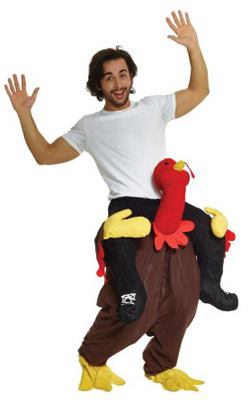 This affordable adult plush mascot costume is a fun caricature of a Thanksgiving turkey. It’s friendly appearance will entertain children and families. Great for Thanksgiving parties, events, festivals, and parades. Click to check out today’s special lower bargain price. 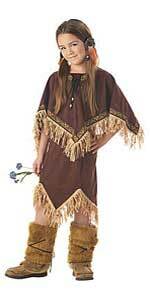 This is a great child turkey costume for either boys or girls! This kid Turkey outfit includes the headpiece, fleece jumpsuit, and the yellow feet covers. This infant Thanksgiving turkey costume will make everyone who sees him wearing this cute little outfit say, “awww cute!” This adorable baby turkey suit will capture the hearts of everyone at your Thanksgiving celebration. If you want to add humor to your holiday dinner, you can suit up in this piggyback turkey costume designed to create an illusion that you are riding on a turkey! 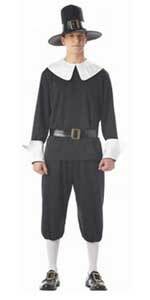 If you want to bring some amusement to your Thanksgiving celebration, suit up in this deluxe turkey costume for adult men or women. Flap your wings and gobble up all the attention during dinner! This adorable turkey costume is great for either boys or girls. Make your child the cutest character at your next Thanksgiving celebration. Available in toddler sizes medium (18-24 months), large (2T-4T), or x-large (4-6). 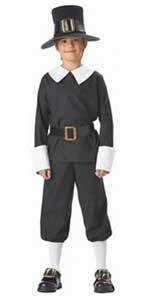 This adult size Turkey costume features the headpiece, turkey jumpsuit, feet covers. This clever Thanksgiving costume includes a turkey body with attached wings, tailpiece, and fabric neck connecting to the turkey head hood. This outfit has room for extra padding to give it a fuller look. 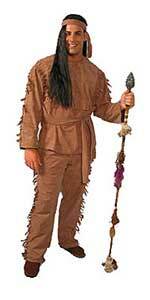 The costume is in shimmering tan, brown, and orange color. Also includes a pair of long turkey leg and shoe covers. One size fits most adults. 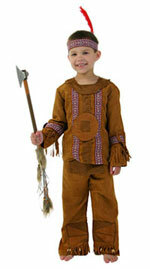 We also have listings for deluxe Indian chief mascot costumes for sale.